Android users have long been complaining about frequent app updates on Google Play. Many Android users who don’t get to use a WiFi connection much or are on a limited data plan often don’t update their apps with the fear of exhausting their data pack too soon. Android users know that there are multiple app updates at any given point on Google Play and it is a trouble to keep your apps updated always. What users do is update only the frequently used apps leaving the rest at a older versions for a long period of time. This not only affects the device performance but also keeps them vulnerable to the latest security loopholes. Listening to the user feedback Google has launched a new Delta algorithm named “bsdiff” for shrinking the amount of data the users have to download for updating their apps. The algorithm also compresses the patch sizes downloaded to update the installed Android apps and games. Currently, only the deltas (changes to the apps) are downloaded to add new features and fixes to the apps. However, the new bsdiff algorithm will further reduce the patch size by up to 50%. 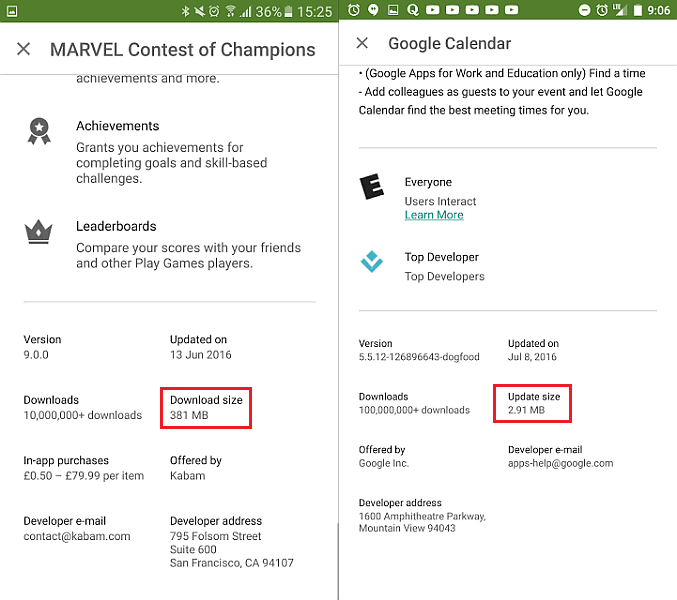 “For approximately 98 percent of app updates from the Play Store, only changes (deltas) to APK files are downloaded and merged with the existing files, reducing the size of updates. We recently rolled out a delta algorithm, bsdiff, that further reduces patches by up to 50 percent or more compared to the previous algorithm. Bsdiff is specifically targeted to produce more efficient deltas of native libraries by taking advantage of the specific ways in which compiled native code changes between versions. To be most effective, native libraries should be stored uncompressed (compression interferes with delta algorithms),” explains Anthony Morris, SWE Google Play, in a blog post. Google also mentions that the new algorithm works only with apps having uncompressed native libraries. For others the reduction in update size with bsdiff would be 5% probably. Bsdiff Would Benefit Gamers Too! This algorithm has also been applied to the APK expansion files that are commonly used with mobile games. This would reduce the size of first download by 12% and update sizes by up to 65%. “APK Expansion Files allow you to include additional large files up to 2GB in size (e.g. high resolution graphics or media files) with your app, which is especially popular with games. We have recently expanded our delta and compression algorithms to apply to these APK Expansion Files in addition to APKs, reducing the download size of initial installs by 12 percent, and updates by 65 percent on average,” Anthony added. It must be noted that Google was displaying the app size earlier too, which was available after going into ‘Read More’ section present just below the ‘What’s New’ section. However, the app update (delta) size was still hidden from the users. This new update will change all of this and will show the update and the app size before downloading. If you aren’t seeing it on your device as yet then you needn’t worry as this feature is being rolled out to Google Play users across the globe and would be available for you too within the coming weeks. More than 65 billion apps were downloaded from Google Play in 2015 and this is pushing the app developers even further to release frequent app updates fixing bugs and adding new features based on user feedback. Thankfully, this update would encourage the Android users to keep their apps updated while reducing the load off Google servers as well. 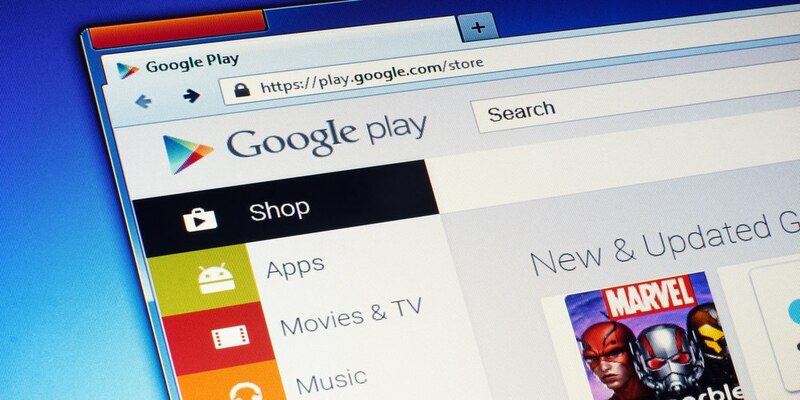 "Google Play Shrinks App Update Size By Up To 50%. Will Also Show Download Size", 5 out of 5 based on 1 ratings.